The dust has settled after another bruising election season, and now the real work of governing is set to begin. Governor-elect Gretchen Whitmer and other top-of-the-ticket Democrats like Jocelyn Benson and Dana Nessel are poised to declare war on Michigan workers, taxpayers, and parents of schoolchildren, but there’s good news. The state House of Representatives and the state Senate have selected conservative new leaders poised to hold the line against the anti-worker attacks from the governor’s office. They’ve got big shoes to fill, but great examples to follow. Outgoing Senate Majority Leader Arlan Meekhof and outgoing Speaker Tom Leonard have for years provided consistent, conservative leadership – and continue to lead through the end of the year. The next Senate Majority Leader, Mike Shirkey, is among the state’s most qualified and effective champions for Michigan workers and Michigan ratepayers, having helped lead the fight for workplace freedom and for pro-free market electric choice. 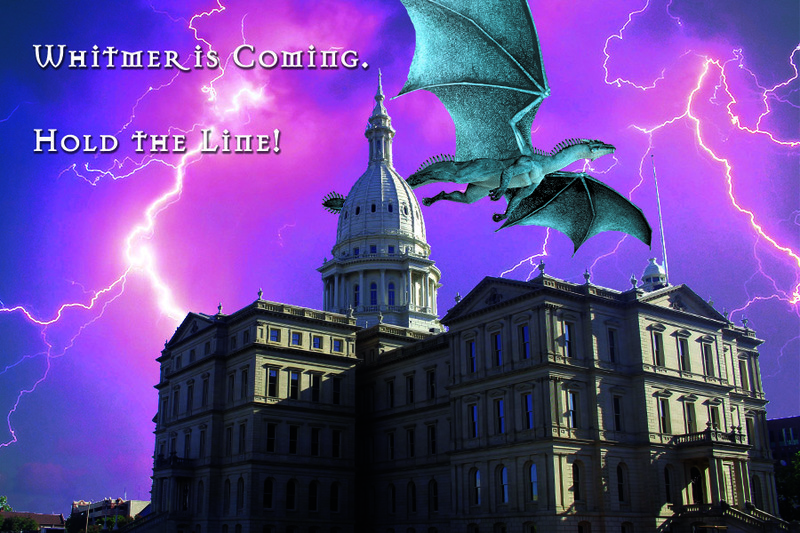 Across the Capitol, the incoming Speaker of the House, Lee Chatfield, has earned a reputation as a fighter for Michigan taxpayers. Together, they and their caucuses are conservatives’ best hope for 2019. The left is already talking about tax hikes, massive new regulations, and petty recriminations against the individuals and parents who don’t march lockstep with their partisan agenda. Shirkey and Chatfield lead conservative majorities onto the battlefield with Michigan’s future in the balance. It’s in good hands.